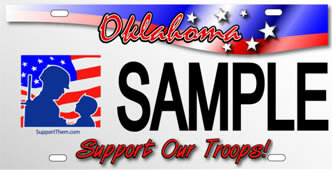 GPS was instrumental in working with State Legislature to promote the creation of the Support our Troops License Plate project for Oklahoma. GPS secured Economic Development funding for FireLake Grand Casino in Shawnee, OK.
Government Procurement Solutions, LLC (GPS) has a mission of increasing the amount of contracts awarded to small businesses by government agencies in Oklahoma. Each member of our team is integrally involved in, and dedicated to, every effort we pursue with our clients. GPS offers unparalleled knowledge of the government procurement process to negotiate the often complex maze of evolving rules, regulations and procedures that accompany doing business within the State and Federal marketplaces for our clients. GPS is known for its professional and high-quality standard in dealing with clients and government officials. Whether your company is trying to enter the government marketplace or is an established contractor, GPS can help you maximize your organization’s potential. Click to Download the latest Information Sheet on GPS!